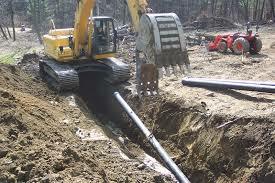 including sewer relining and other trenchless solutions, at 201-645-0888. Trenchless sewer repair solutions have revolutionized the industry, providing NJ sewer plumbers with less costly, less intrusive options for fixing damage to sewer main lines in homes, businesses, and local city sewer systems. For municipal sewer repair, trenchless technologies help save taxpayers money and reduce hassle for local cities and townships. Without sewer excavation, surrounding areas stay intact, and we’re less likely to need to close off roads or disrupt paved areas to get the job done. At A1 Sewer & Drain Services, we use sewer relining for trenchless municipal sewer repair services throughout north NJ, including Bergen County, Union County, Morris County, and adjacent areas. For more information about our municipal services, or to get a free cost estimate from an experienced NJ plumber, call us any time at 201-645-0888. Trenchless sewer repair techniques like sewer relining aren’t limited to small residential or commercial sewer laterals. At A1 Municipal Sewer & Drain Services, we can also use these methods to fix problems with public sewer lines. We can use the same approach to sewer repair for public, city sewer systems. Doing so saves taxpayer money, avoids disruption in nearby areas, and preserves nearby sidewalks and paved areas. 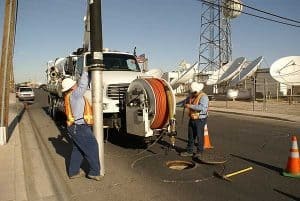 With trenchless solutions for municipal sewer repairs, we can leave disruptive sewer excavation, closed streets, and extensive downtime behind. Sewer relining is a quicker, simpler solution for fixing serious problems with the local sewer system. Traditional sewer repair methods, which require excavation, were a major headache for city planners, sewer repair contractors, and local homeowners and businesses. It’s expensive and frustrating, with high labor costs and plenty of room for mistakes and complications. Trenchless sewer repair with cure-in-place pipe is a better solution for everyone involved. Since we don’t need to excavate to repair the sewer line, we’re less likely to need to shut down nearby roadways. Sewer relining is also quicker and less expensive than alternatives, making it a better choice for municipal sewer repair. On our end of things, it’s safer and simpler for local plumbing contractors. It doesn’t put our workers at risk for trench collapse, asbestos or mold exposure, natural gas leaks, and other hazards. The resin liners used in trenchless sewer repair work just as well in municipal sewer systems as they do in residential main lines. No matter what the diameter of the pipe is, we can use cure-in-place resin liners to patch cracks, holes, and other imperfections in old sewer pipes. The process can take as little as a few hours, freeing locals from the headache of a street that’s closed for days on end due to ongoing excavation. All we need are manholes, sewer cleanouts, or small access points– no trenches are needed to fix the pipe. Limited digging. The digging we need to do for sewer relining is very, very limited. This reduces the expense and labor cost of the work, saving taxpayer dollars. Quick completion times. Sewer relining with cure in place pipe can take less than a day to complete. Minimal traffic disruptions. Because we don’t need to excavate a large trench to access the sewer pipes, sewer relining comes with far less disruption to nearby traffic than traditional sewer repairs. Safety. 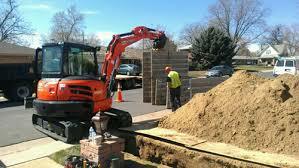 Sewer relining is far safer for contractors than large-scale excavation. Long-lasting results. 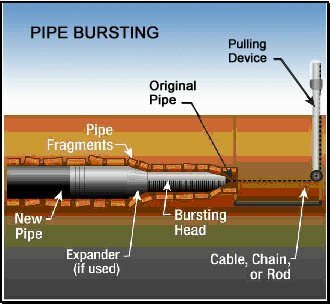 Cure in place pipe can last for 50 years or more after installation, and is resistant to nearly all forms of corrosion. Need experienced, reliable sewer plumbing contractors for municipal sewer repair in north NJ? At A1 Sewer & Drain Services, we’re always available to help our local communities solve their sewer problems. To find out more, or for a free cost estimate, call us any time at 201-645-0888. To find out more about municipal sewer repair in NJ, including sewer relining and other trenchless solutions, call us any time at A1 Sewer & Drain Services, at 201-645-0888.